The HGTV star knows best (and now, we do too). Members of the Joanna Gaines Fan Club, please stand up. We’d be lying if we said we haven’t fallen hard for the Fixer Upper star, whose design advice and tricks of the trade inspire us season after season (even now, after the end of the show). 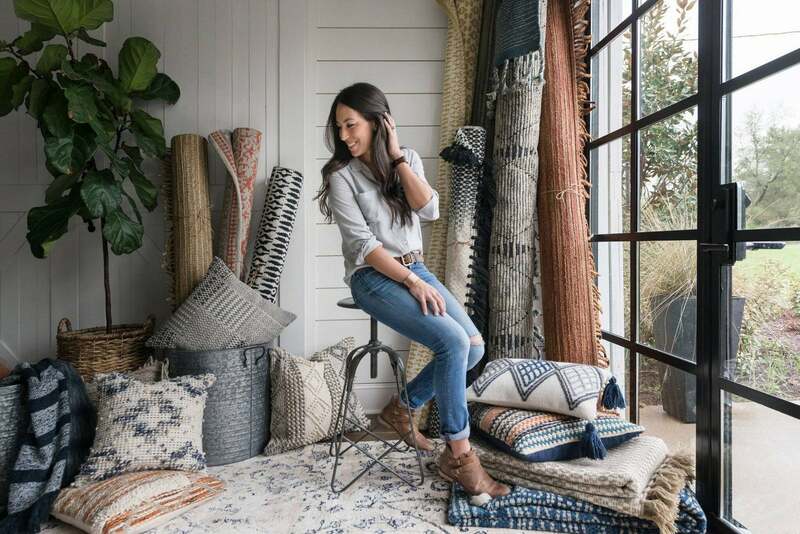 From her on-trend, rustic aesthetic to her newest design book and mega successful Magnolia Market store, Joanna’s the design #GirlBoss we aspire to be. Read on to see our favorite tricks from the designer’s repertoire, including a few pieces of advice from Joanna herself. It’s okay to mix and match styles. While Jo’s signature style can definitely be described primarily as farmhouse chic, the star is a pro at listening to her clients and incorporating different styles into her designs. From adding in industrial elements like iron to going a bit more boho with accessories, don’t feel like you have to stick to one set style to be cohesive. Your space should tell your story. This one might be obvious, but never sacrifice you and your family’s needs and personality when it comes to design. Jo is the queen of adding sweet, personalized touches that make a space feel more like home. Install wooden or cement countertops instead of customary marble or granite. When you step out of the box, you’ll introduce additional texture to your kitchen or bathroom. Replace your standard chrome fixtures and hardware with brass or copper to make a serious (and stylish) statement. Gray works in every space. When in doubt, use shiplap. Chip and Joanna have made a serious case for shiplap. Used correctly, the rough-sawn pine paneling can add a rustic, yet refined element to your space. Use salvaged wood or fresh pine boards to get the look. Take your paint on a test run. “As I’ve worked with clients over the past 12 years, I’ve learned that committing to a paint color is a big fear for a lot of people. It really is a big commitment, and there are so many options out there that the process of choosing can be overwhelming. Try buying a sample first, or at least save yourself some time and paint a small corner before you really get started,” Joanna says. Installing open shelving is always a good idea. Open shelving is perfect for any space—be it a kitchen, home office, or mudroom. It offers a less bulky alternative to cabinetry, while providing storage space, functionality, and charm. Don’t be afraid of painting your home’s exterior. “A fresh coat of paint is one of the easiest ways to add curb appeal to your home, but again, this is one of those projects that seems daunting,” Joanna says. Even an ultimate design maven like Jo makes choices that she ends up changing. Joanna shared with us the story of when she accidentally painted the exterior of a house school-bus yellow, instead of a soft buttercream. But take each mistake as a lesson, and know that (usually), nothing is too permanent. You’ll most probably be able to change it over time. Before revealing a big home project to clients, Joanna always styles the space with gorgeous fresh blooms. The same goes for your home—whether you’re entertaining guests or just celebrating for no reason at all.